Many animals, including humans: Comminication, Memory, Social Reasoning, Empathy, Tradition, Physical Reasoning. 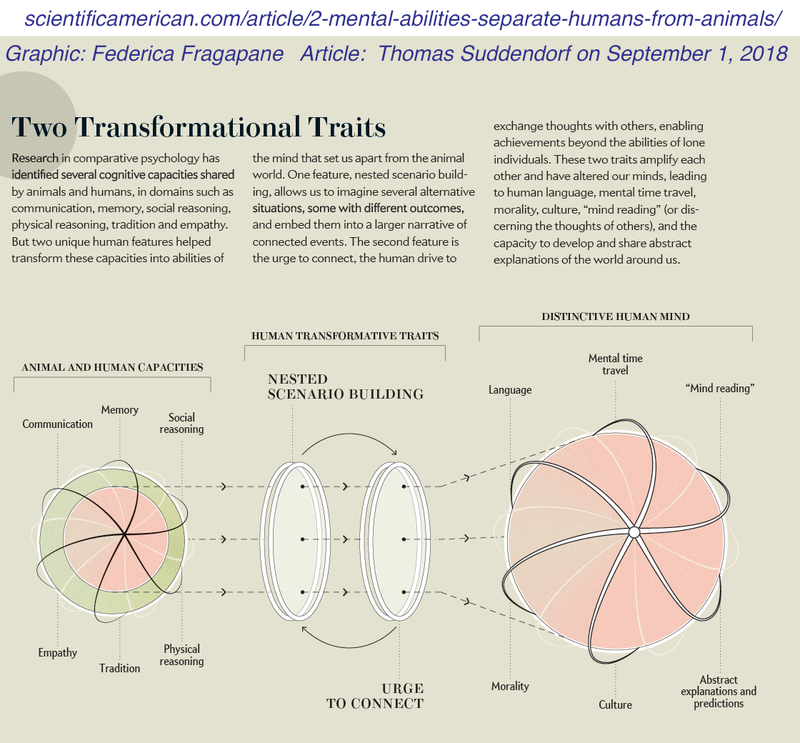 Human Minds: Language, Mental Time Travel, Theory of Other Minds (TOM), Morality, Culture, Abstract Mental Models. get the article to fill in the details & context, etc.